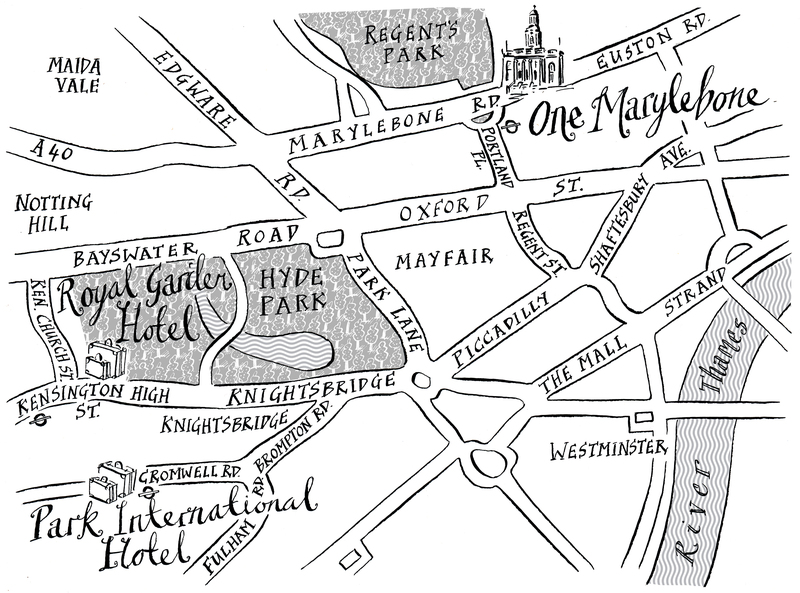 This is a classic black and white map for a London couples wedding. They had seen maps I had drawn in a book on Sherlock Holmes’s London ( https://www.waterstones.com/book/9781782492573 ) and wanted something similar for their invitations. I drew the Thames and the famous parks in a slightly different way to usual following the technique from the book. I think the contrast works well, helping guests to navigate the simplified London streets from the service to the reception and back to the hotel.